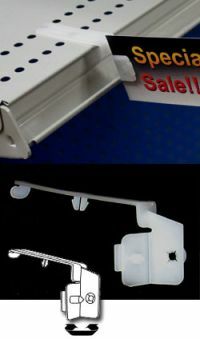 Gondola metal retail store fixtures are a staple at supermarkets, dollar stores, mass merchants, wine and liquor outlets, convienence stores and at many other locations. 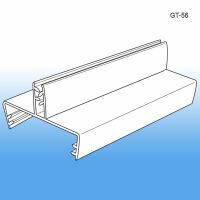 They have back wall panels with and without pegboard and slatwall, side uprights and consistent metal shelving, much of it with perforated holes and usually with a price channel built-in to the shelf edge. 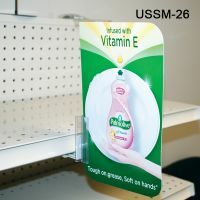 There is much merchandising being conducting from these permanent store fixtures, including signage communications. 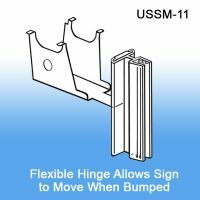 In this category you will find magnetic and adhesive sign holders, price channel sign holders, gripper signage and other perforated shelf mounted sign products. 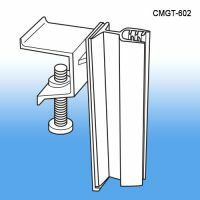 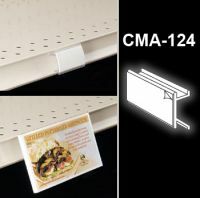 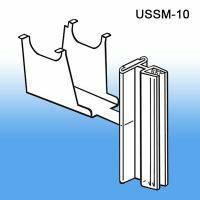 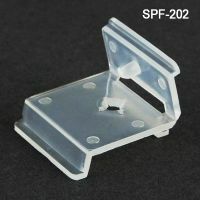 Clip Strip Corp. carries many effective merchandising aides and unique sign holders for the typical metal store fixture, whether it's a shelf edge sign clip creating an aisle violator or a clip strip with s-hook that fits into gondola shelf perforations. 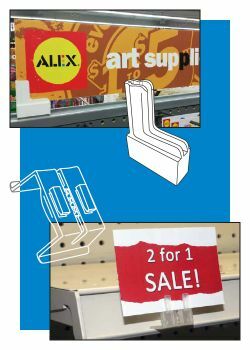 Count on us to be your go-to provider for in-store marketing. 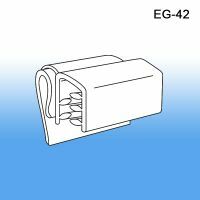 Minimum quantity for "Econo C-Channels, ECC-481" is 25. 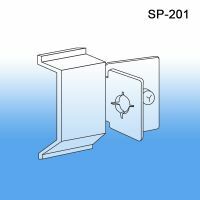 Minimum quantity for "Vinyl Pouch with Hanging Hole, 106" is 50. 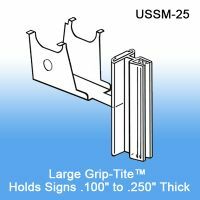 Minimum quantity for "Grip-Tite™ Data Channel Hinged Flag Sign Holder, EG-40" is 100. 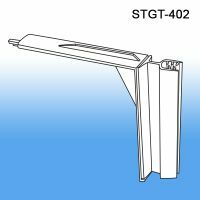 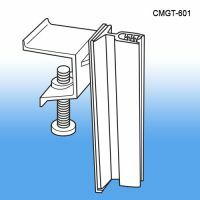 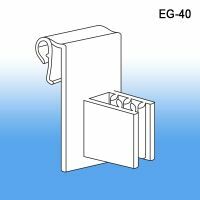 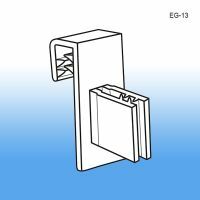 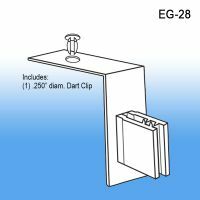 Minimum quantity for "Grip-Tite™ Data Channel Hinged Flush Sign Holder, EG-42" is 100. 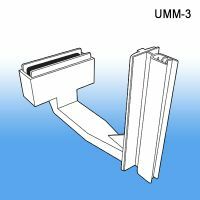 Minimum quantity for "Channel Mount Advertiser with Adhesive, CMA-124" is 25. 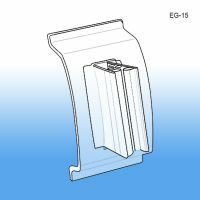 Minimum quantity for "Clip-On Coupon Holder, On Sheets, COC-16" is 16. 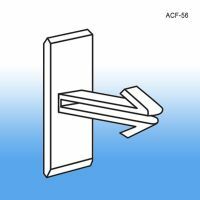 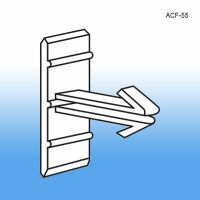 Minimum quantity for "Channel Mount Arrow Fastener - Easy Flex, ACF-55" is 25. Minimum quantity for "Channel Mount Arrow Fastener - 1/2" Long, ACF-56" is 25. Minimum quantity for "Channel Mount Arrow Fastener - 1/2" Long, with Adhesive, ACF-57" is 25. 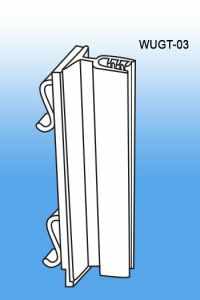 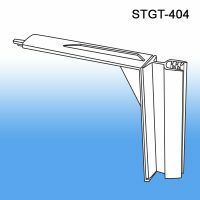 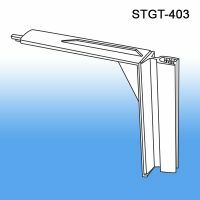 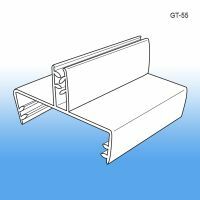 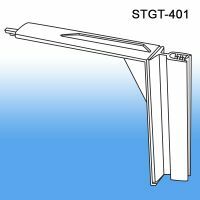 Minimum quantity for "Grip-Tite™ Shelf Channel Sign Holder, Flush Position, EG-14" is 100. 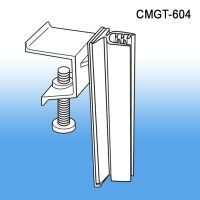 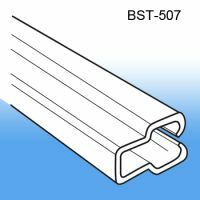 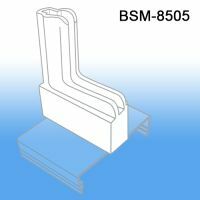 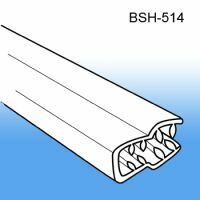 Minimum quantity for "Channel Mount Arrow Fastener - 15/16" Long, with Adhesive, ACF-59" is 25. Minimum quantity for "Channel Mount Arrow Fastener - 15/16" Long, ACF-58" is 25. 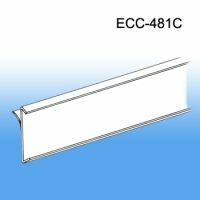 Minimum quantity for "Price Channel Chips, 2.5" Long x 1.25" High, 10 mil, PCHC-250-010CL" is 250.